If you are starting out on medical marijuana, then you must be wondering about the right way to consume. 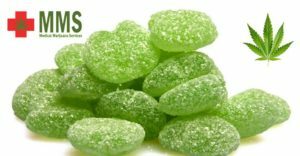 Out of all the methods, the best and most secure method is to use cannabis-infused edibles. However, before starting out, it is important to note, that you should consult with your health care practitioner or a dispensary providing medical marijuana in Canada or wherever you live, so that you are well aware of the process to procure the legit cannabis, and the ways to consume it. One thing that needs to be taken care of when consuming medical marijuana is to start with low doses. Edibles take some time to blend in the bloodstream, and therefore you won’t get hit immediately. So, it is better to start out on low doses. These cannabis-infused foods include cookies, brownies, snacks, pill capsules, and similar ones. These are the ones which take a longer duration to activate within the body, but their effects is long-lasting. This category includes lozenges, suckers, and tinctures. These edibles produce an immediate effect but wear off quickly as well. This category includes foods that are absorbed by the mouth as well digested by the stomach, such as chocolate bars, infused drinks, and so. These provide faster effects and lasts longer than the oral ones, but less the gastronomical ones. What dosage you should take depends on your medical condition, and whether you are a beginner user or have been consuming cannabis for a longer period. Medical marijuana is highly recommendable for several ailments. And these methods can help not only young ones, but also the elderly, veterans with PTSD, and patients with medical problems can procure medical cannabis to treat their illness.